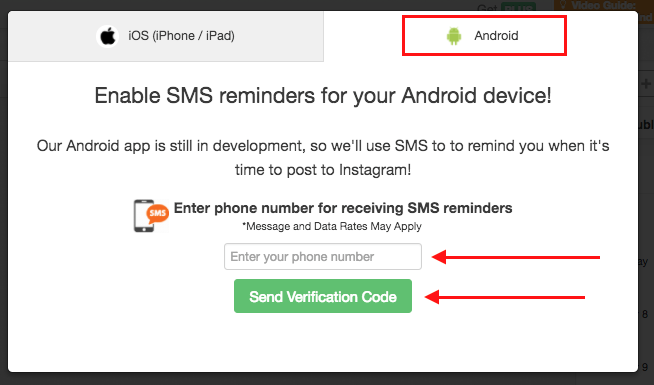 If you are currently using an non-Apple device, we've built a work-around solution to text you (via SMS Messaging) when it is time to post to Instagram. 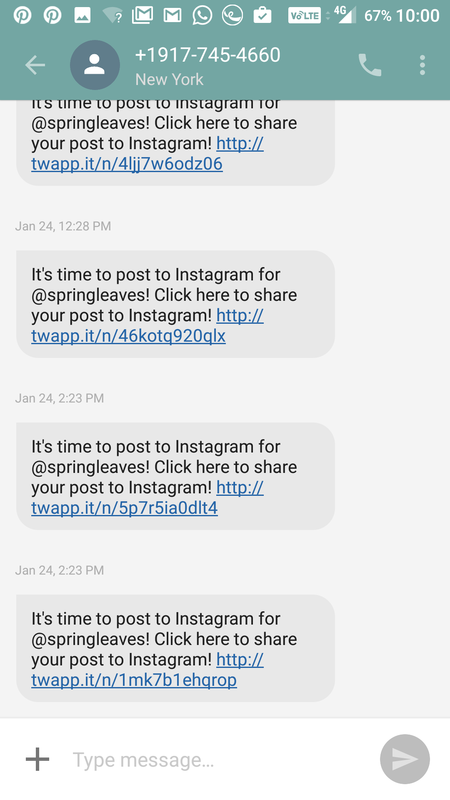 For users who do not wish to use Auto Post, we use a notification system to safely help you schedule and stay on top of your Instagram Posts. First, you'll start on the desktop webapp to enable texting, but once that is set up you can schedule on the webapp and use the texts as mobile notifications for posting to Instagram. 2. A pop-up should come up to start the scheduling tour, Click Android to choose Android (or other) instead of iOS for your device. 3. Enter your Phone Number, including Area Code, without spaces or special characters to sign up for SMS Text Messaging from Tailwind. 4. Receive confirmation text from a New York, USA number to verify it is you! Then enter it on the next screen after clicking, "Send Verification Code". 5. Now it is time to Schedule Instagram Posts! You'll do this on the desktop first before posting. 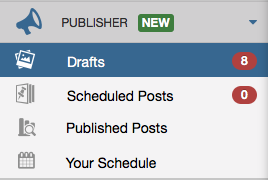 Watch our Video Guide, Mastering Tailwind Instagram Scheduling. 6. When it is time to post to Instagram according to your timeslots, you'll get a "Time to post to Instagram" text. Tap the link in the text to open in a browser. 7. The image and caption are already here for you. 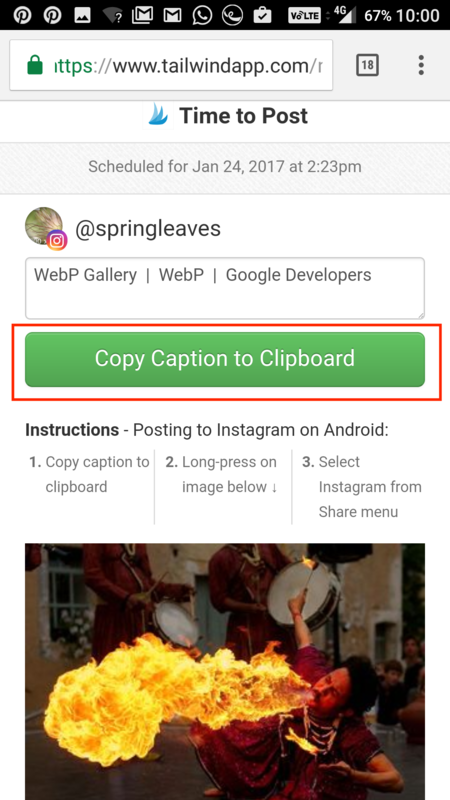 Tap the green "Copy Caption to Clipboard" button to copy the caption and paste into Instagram in just a minute. 8. 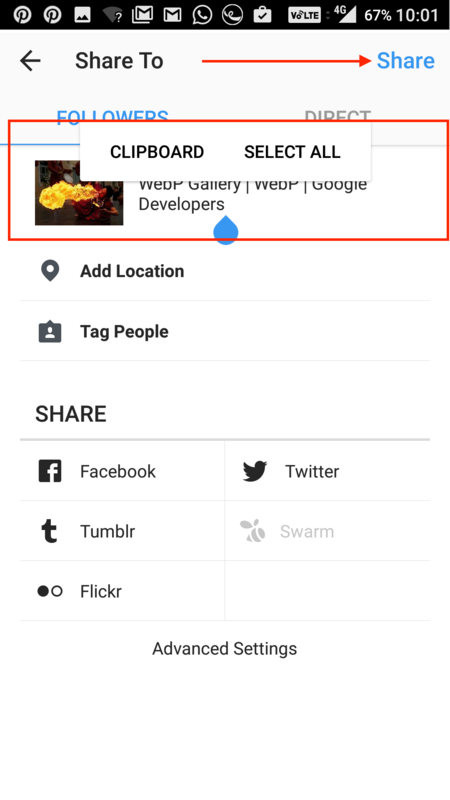 Long-press on the image (tap, press and hold) until the "Share Menu" comes up, then tap "Share Image". 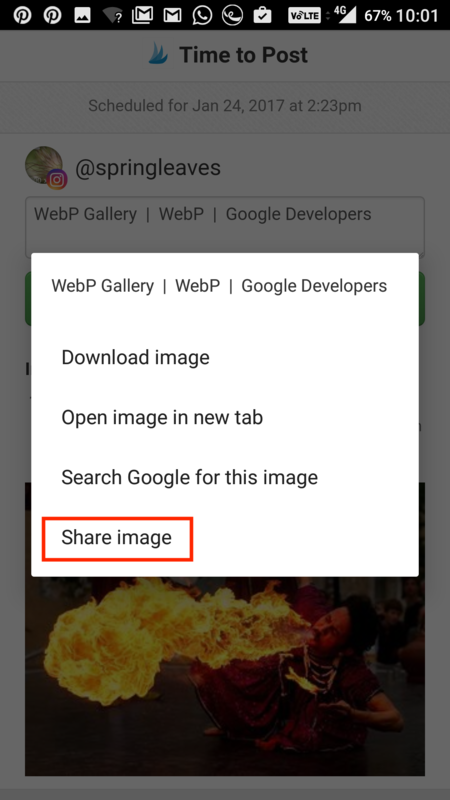 Helpful Tip: If your phone does not have the Share Menu, please check that you are on the latest software version (OS: Nougat and up). 9. 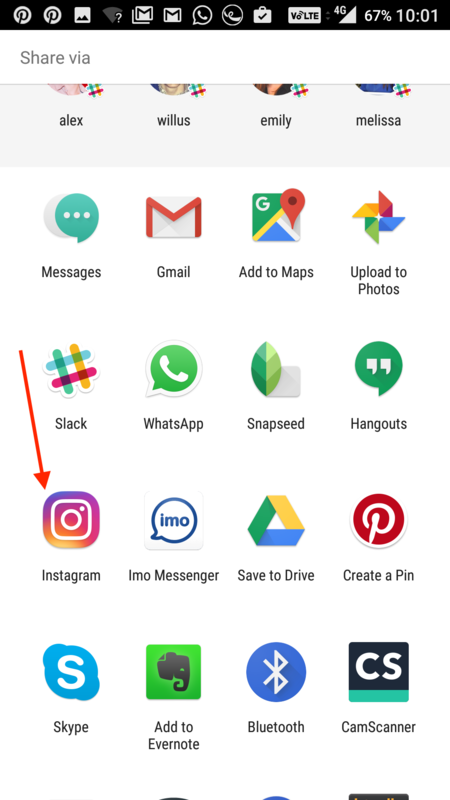 Tap the Instagram icon to open the native Instagram Mobile app. This is when you can edit the photo, such as add filters, crop or add special effects! 10. Paste caption and tap Share to post!